I’m not sure what got into us, but we spent this past weekend cooking up a storm! The weather was finally nice enough (we’ll take 45 degrees and sunny) to get the grill out of storage and try a few recipes we have been saving for the occasion. With another weekend of games coming up, I wanted to share some of our game watch recipes, along with everything else I made this weekend because they were all winning recipes in my book! 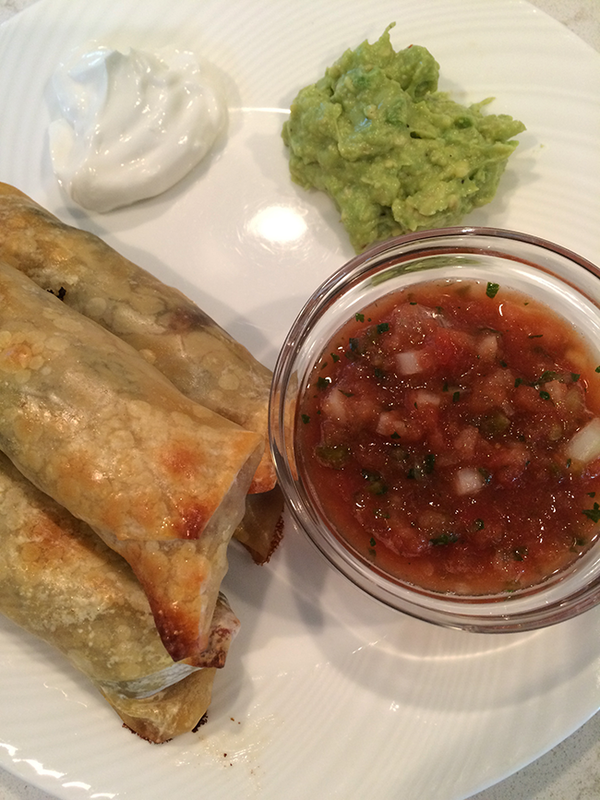 On Friday night, I made up a batch of baked Southwestern Egg Rolls. For this one, I added shredded chicken to make it more of a meal than an appetizer. Clint made his homemade salsa and I mixed up some guac (we just do avocado, salt, pepper, lime and red pepper flakes) to go with these. They were super quick and easy and even Jackson was a fan! We planned on an easy, at home afternoon after Jackson’s swim lesson on Saturday so the grill was the way to go. I bought Clint a grilled nacho tray from Williams-Sonoma for Father’s Day last year and we hadn’t used it until this weekend. 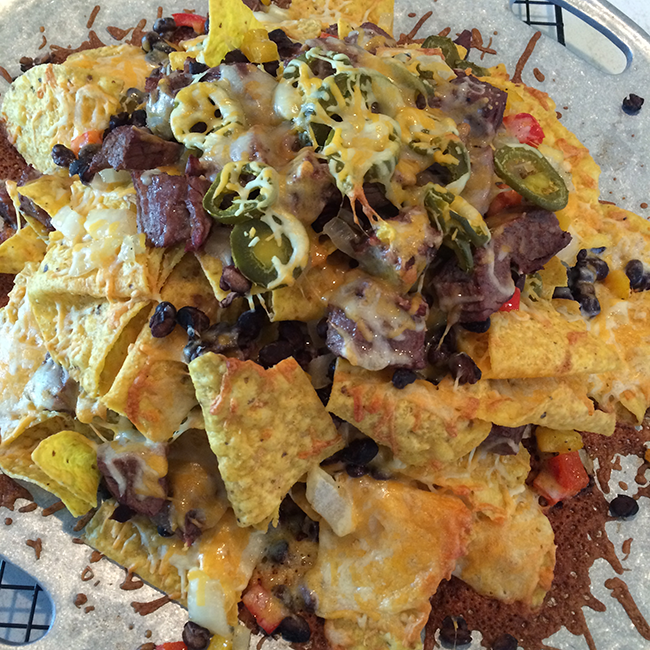 Clint made these grilled fajita nachos and they were amazing. For snacking, I made this Neiman Marcus dip and for dessert, these salted peanut butter dark chocolate cookies were unbelievably good. On Saturday night, I prepped this french toast casserole from The Pioneer Woman and we baked it up on Sunday morning and served with some fruit. I always say I’m going to make one of these “night before” recipes, but I usually forget and end up trying it the next morning. 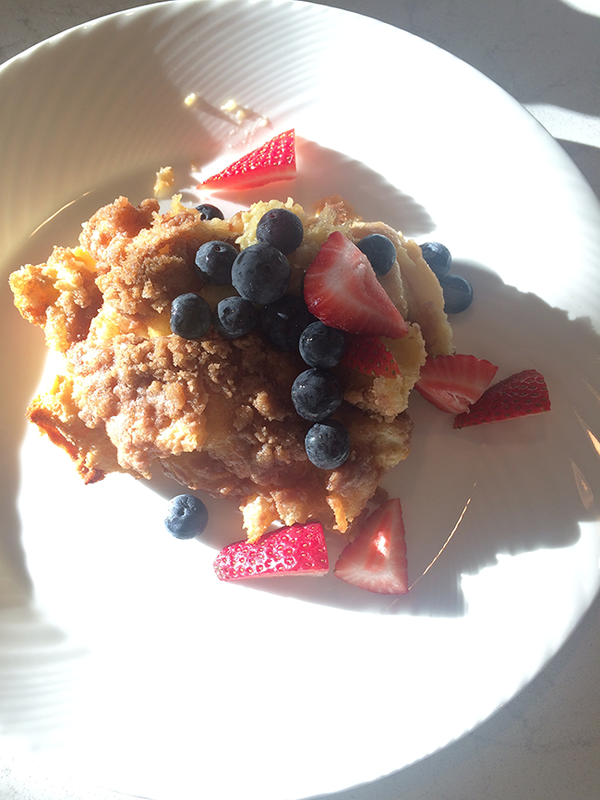 Letting this sit overnight made a huge difference, it was like sweet breakfast bread pudding and it was SO good. Also, Jackson’s favorite thing lately has been “picnics” at the coffee table in the living room, so we did a little breakfast picnic with him and watched some cartoons. 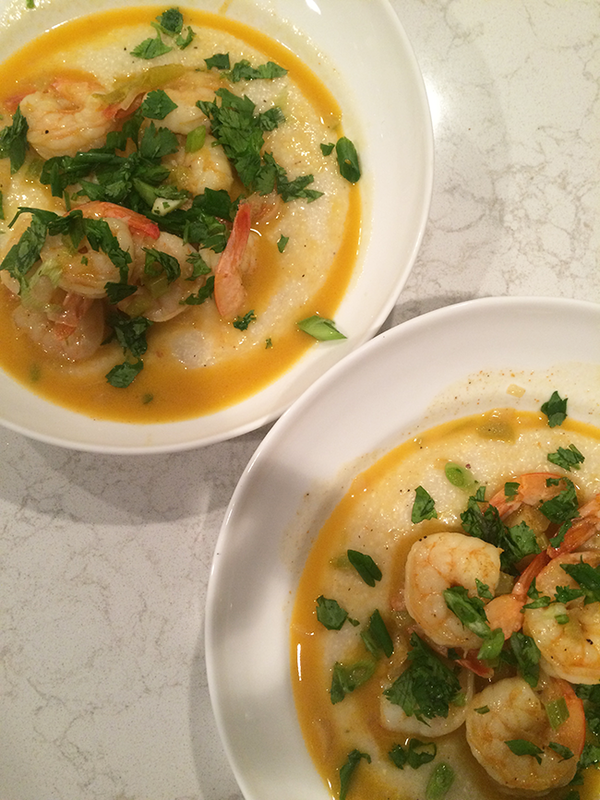 For Sunday dinner, Clint and I waited until our tired, crazy little man went to bed and made Martha Stewart’s Shrimp and Cheese Grits for a warm, relaxing dinner. I’ve made this one a few times before and it always turns out really well, and doesn’t take very long. Living in Michigan, we tend to miss our Southern food quite a bit, so we always like to make dishes like this. Do you have any favorite weekend dishes? Tell me!